Fact of the day: braving a cold to board a 13-hour flight will not help you recover - no matter how flat you recline; no matter how many blankets, issues of Tatler, and hot honey-ginger drinks the helpful attendants bring you. Because the simple truth is: the flu does not discriminate, the flu does not care that your fancy arse is flying in Business Class. Fast forward six days later: I'm in my London bed with a raging fever - less convalescing, more 'can somebody call me a waaambulance?' - just dying to dive into these photos of The Haven. Propensity for seasonal illness aside, I'm blessed with the kind of timing that you either envy or hate (are the two mutually exclusive?) me for. 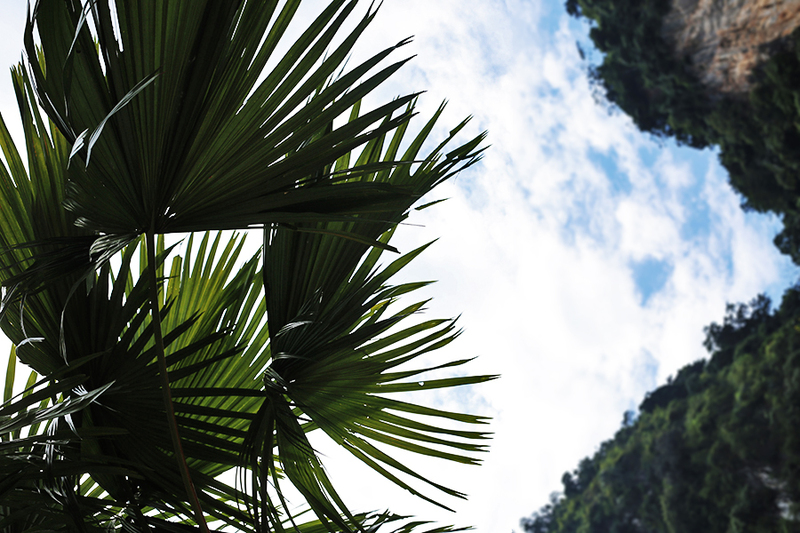 Case study: arriving in Kuala Lumpur for a two-week break just as the haze that plagued most of the region cleared, marking this prodigal daughter's return with long-lost azure-blue skies. 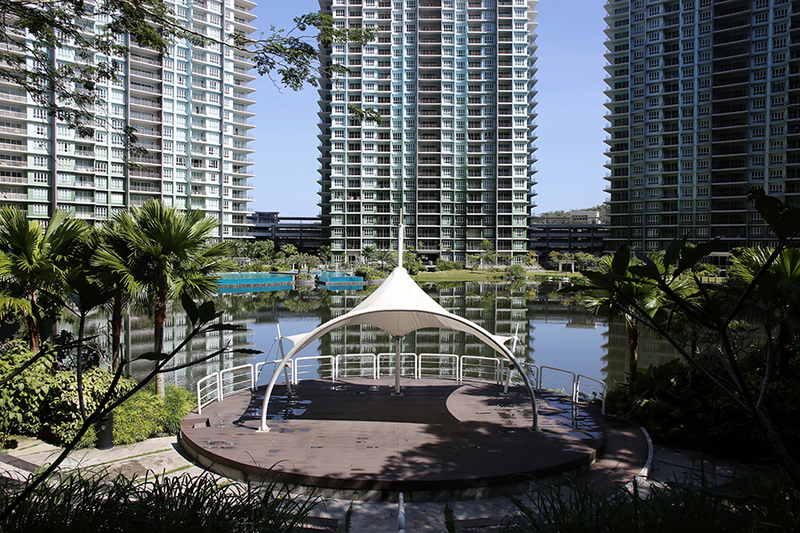 I was not alone: during those dark days a handful of Malaysians were spared the ill-effects of the smog, namely the canny few who invested in a pied-à-terre at award-winning, 5-star lakeside resort residenecs The Haven. 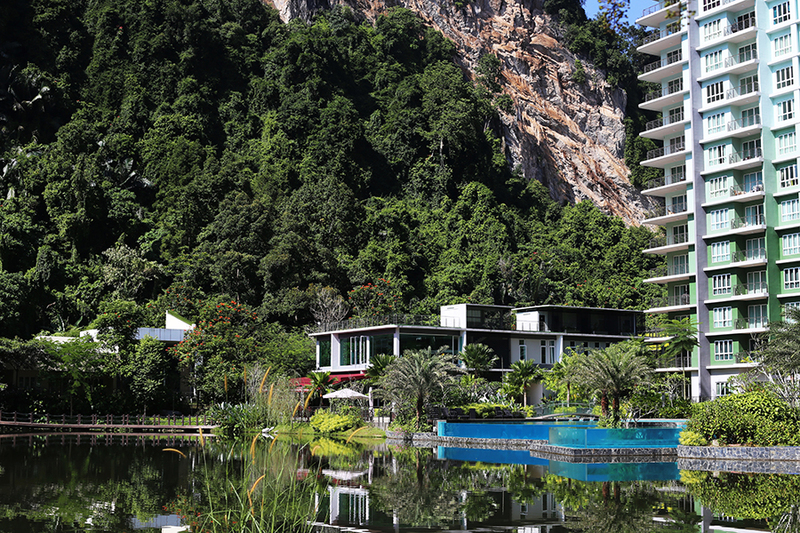 The Haven Lakeside Residences is one of the finest eco-resorts and luxury condominium development in the green heart of Ipoh's virgin rainforest. 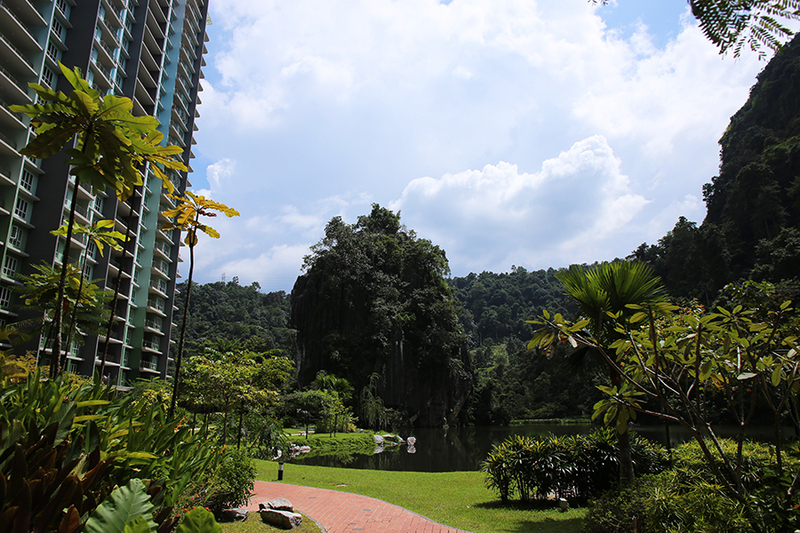 Nestled in a verdant 26-acre bosom of greenery, the lush natural surroundings of The Haven protected its residents from the deadly effects of the haze with a natural buffer of oxygen that brought the area's API (Air Pollution Index) down from the horrifying national average of 280 to a reasonable 70. 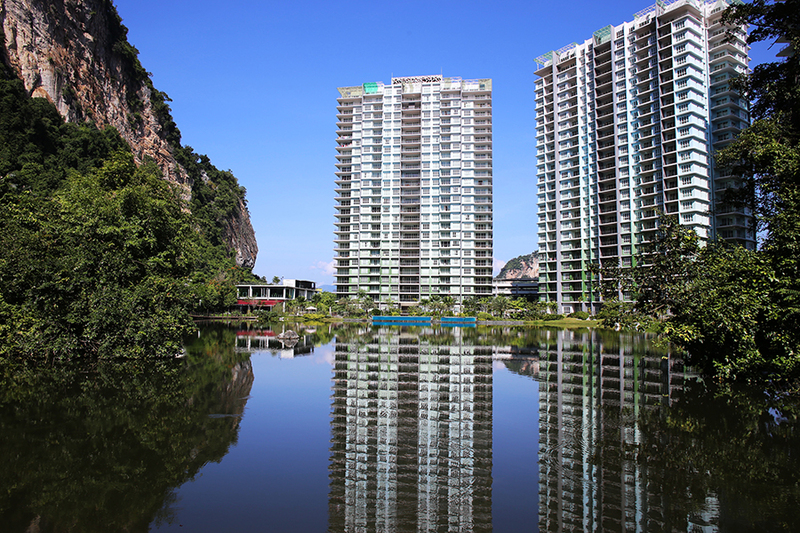 While most of the country could barely see their hands through the smog, here at The Haven the three residential towers formed a semi-circle around a vast lake to offer guests a stunning vista of Ipoh's limestone mountains. 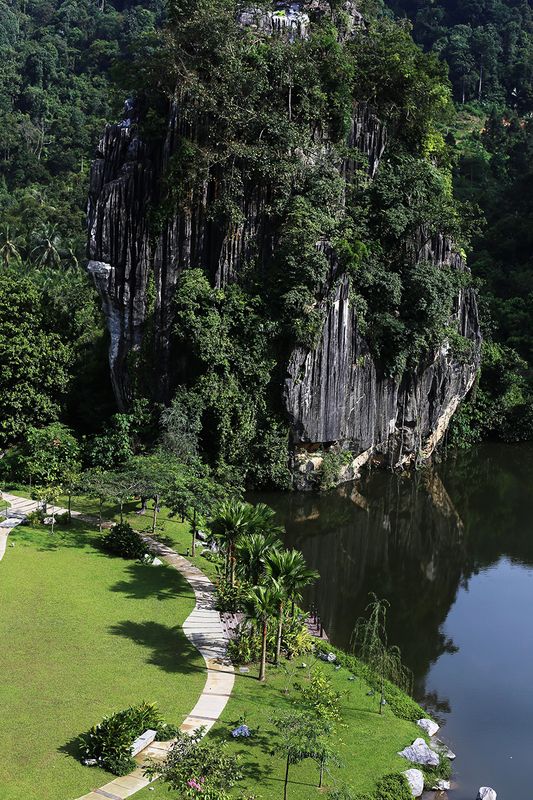 The Haven's centrepiece, 'Rockhaven': the resort is built around this 14-story behemoth of limestone. At 280 million years old, this monument makes the resident T-Rex look like a spring chicken. Watched over by 'Rockhaven', this award-winning vacation and wellness resort welcomes families (The Haven caters to three generations with wheelchair access throughout), nature and wildlife lovers, bird-watching enthusiasts who flock to spot the 368 species of birds who live in the surrounding mountains (including the peregrine falcon and black-thighed falconet whose flight path soar directly above the resort), and vacationers seeking a special place for their events (garden weddings, parties and soirees, companies hosting team-building activities) or even just a leisurely escape from the city. Still waters run deep: four acres of mineral-rich lake provide a restorative view from most of The Haven's rooms. 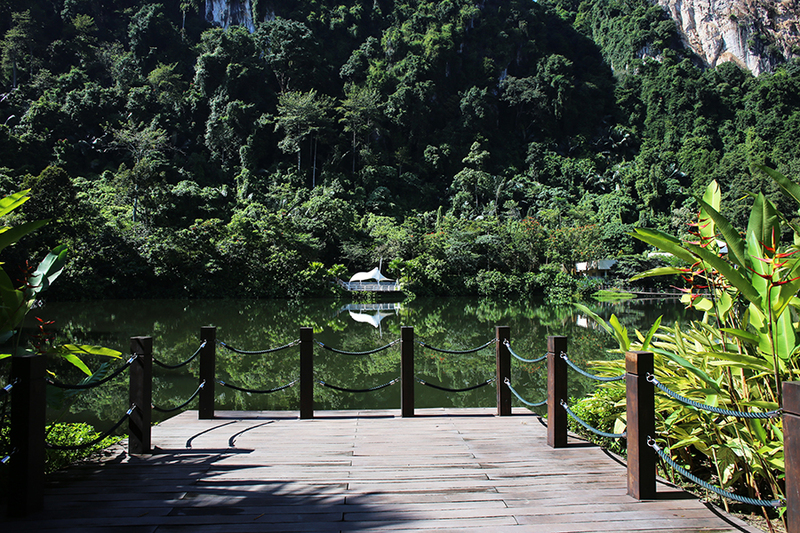 The rural serenity and fresh mountain air of The Haven seems like a world away from the city, so I was surprised at how accessible it is from Kuala Lumpur: the usual two hour drive from the capital plus another 5 minutes from the North-South Highway, and just 15 minutes from Ipoh city centre. I'm not exactly one with nature (unless my jungle-man is involved) nor would the prospect of meditating and jogging in the shade of rainforest tantalise me. Yet I accepted The Haven's invitation and packed my bags thinking I'd have the perfect excuse to not answer my emails for a couple of days...that is until I was cheerfully informed that the resort provides free fibre-optic broadband for all their guests. Oops. Well-proportioned apartments (starting from 968 square feet up to 2,840 square feet) with neutral interiors decorated in natural wood, 10-foot high ceilings, and views like this lulled me into such a serene stupor that I never felt the need to even wander downstairs to enjoy the seahorse-shape swimming pool, lake-facing gym, jogging track and meditation deck. Had the spa - due for completion in 2016 - been ready it would've been a different story, but until then I was happy to flip-flop about in hotel slippers. A pool with a view: the three-level, 60-metre infinity swimming pool (shaped like a seahorse, no less) with a dedicated infant pool, children's pool, lap pool, leisure pool, and ten-person jacuzzi. What's bugging me? Nothing. Lemongrass bushes planted all around the resort spared me the dozens of mosquito bites I usually receive (I was bitten only once. Once) Quite the feat for someone whose blood tastes like sweet ambrosia to those suckers. Pictured: not actual lemongrass. any event that warrants a view, really. The Amphitheatre as seen from an observation deck across the lake. 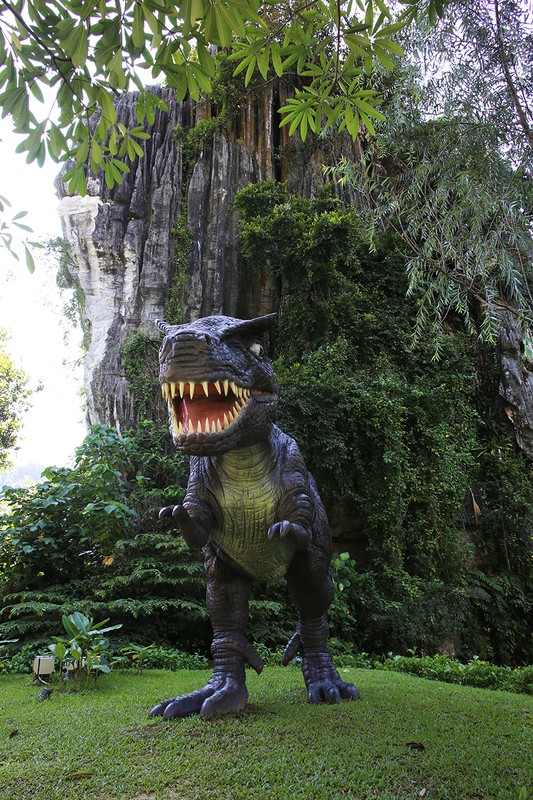 More than a novelty to delight children with, The Haven's resident dinosaur is there to prove a point: the age of Rockhaven, whose 280 million years is at least 4 times as old as the last living Tyrannosaurus Rex. 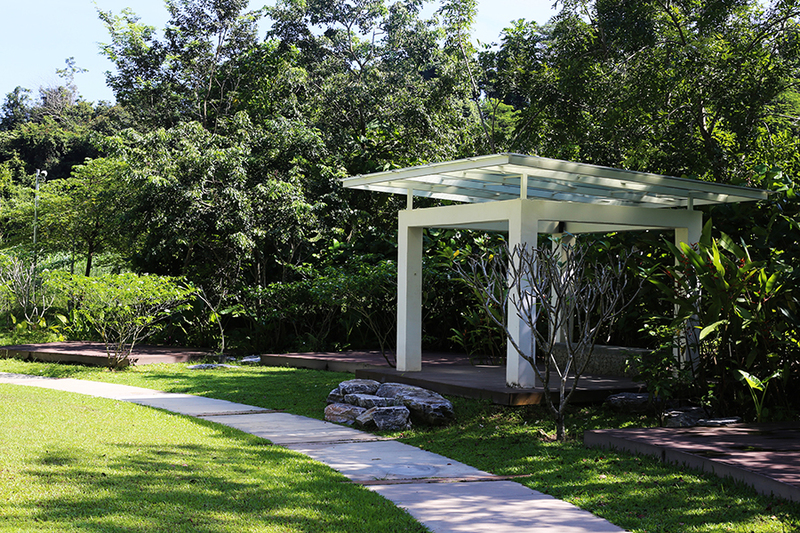 Pit-stop: a meditation deck, perfect for taking a breather from the 600-metre jogging track that circles the lake. I can visualise grandparents doing Tai-Chi and parents practising yoga there. 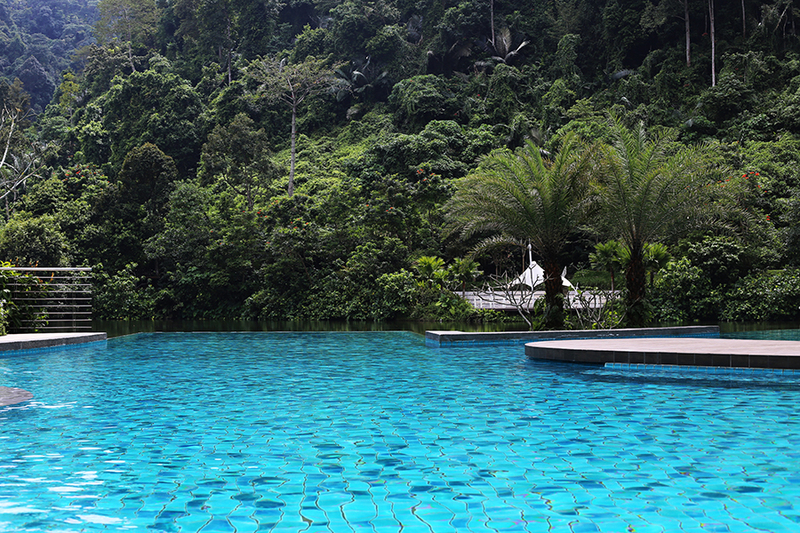 The Haven was awarded BWI Finest Eco Resort in South East Asia, and no wonder: their eco-credentials include electric car-charging points and harvesting the forces of nature to power their facilities including solar-panels for the car parks, rainwater to maintain the level of the lake, and windmill turbine to generate electricity for the jogging track. 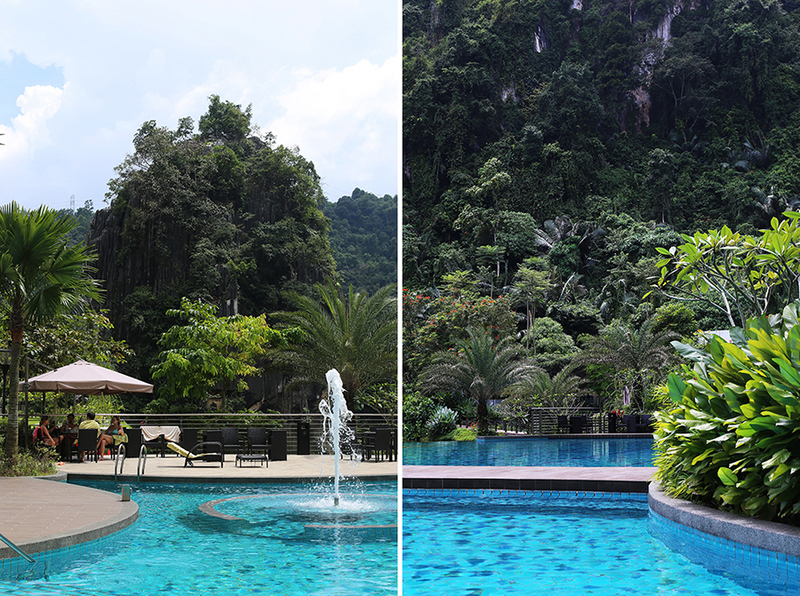 Green awards aside, The Haven has won an eye-watering amount of awards since its inception. Among those are their newly-awarded 5-star status from the Tourism Board and 2015 World Luxury Award for Family Suites. 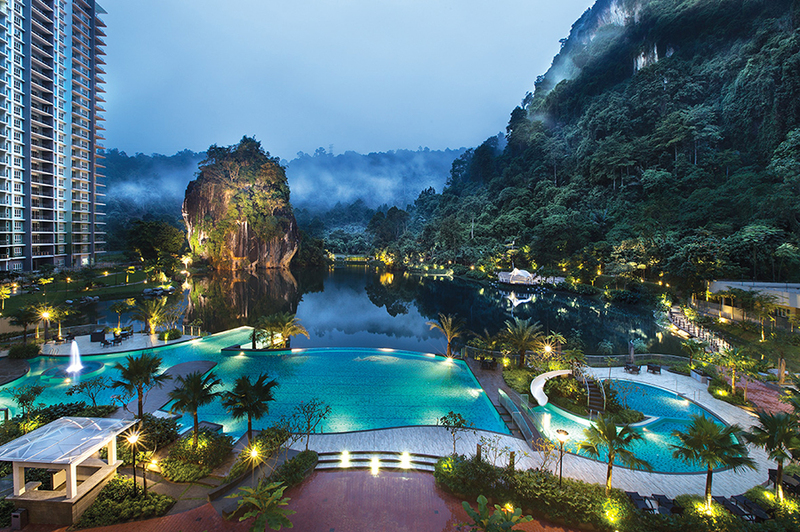 Personally, I think that The Haven's greatest luxury is their proximity to one of Malaysia's greatest treasures - virgin rainforests and limestone mountains, also the care and respect toward coexisting with their natural surroundings. 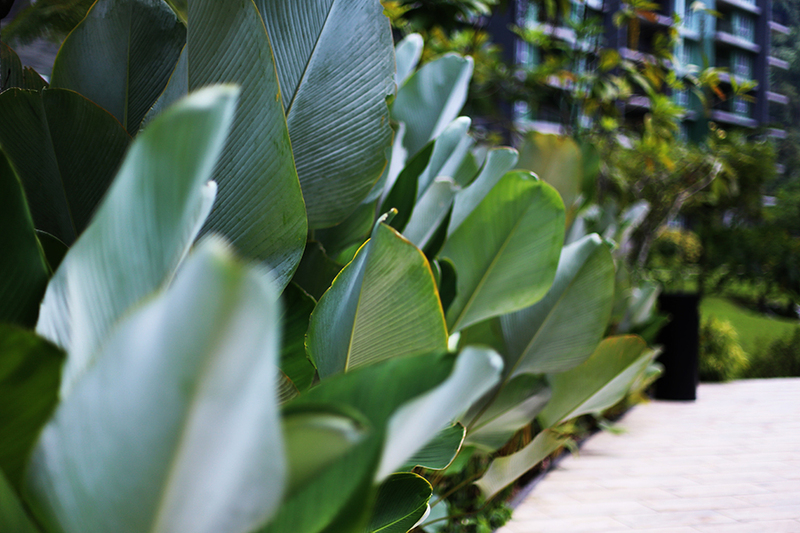 It shows: the air is fresher and whispers of a better quality of life; one that values wellness and family, and despite its accessibility is somehow protected from the worse of the haze that seems to blight the country on a yearly basis. 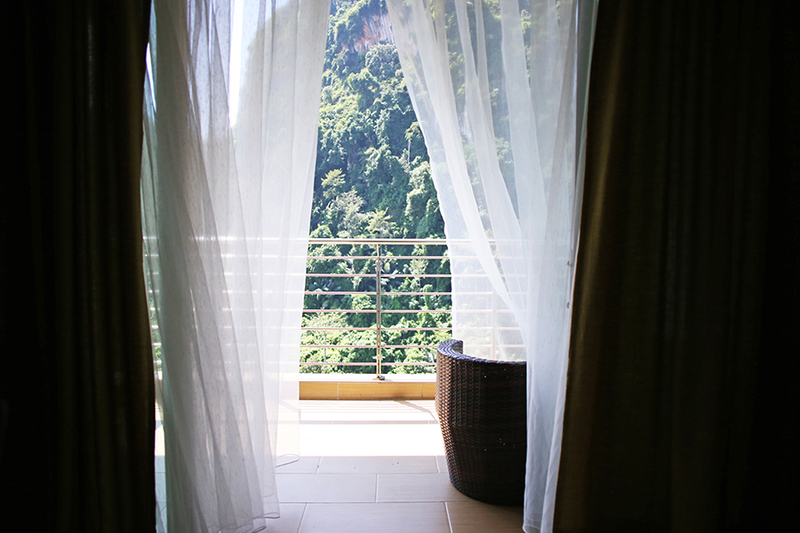 If you are a Malaysian shopping for a vacation home, whether for your family or as an investment, you would do well to consider The Haven. After all, isn't fresh air the greatest luxury there is? *Thank you, The Haven, for the breath of fresh air. Now please hurry up and open your spa in time for Chinese New Year!